Some of our alpacas come from high up on the altiplano in South America, where Peru, Chile & Bolivia meet. They are camelids, a family made up of llamas, guanacos, alpacas & vicunas. 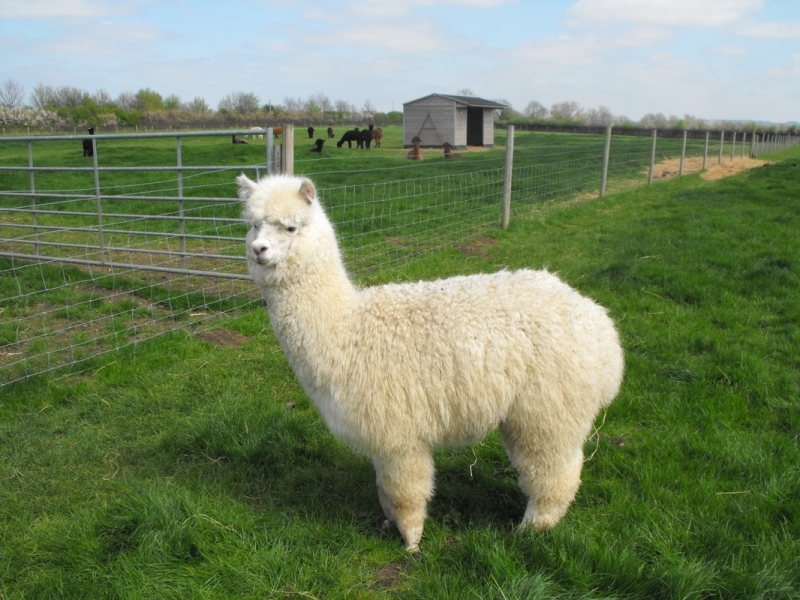 There are 2 types of alpacas, huacayas and suris & we have decided to specialise in huacayas. They come in 22 colours from white to black with fawn, brown & grey in the middle. Alpacas can live up to about 20 years old, they live out all year round in grass paddocks with a field shelter which ours mainly use when it is raining. They eat grass & hay and a concentrate made just for them full of minerals which would be found in their native South America. 4 or 5 alpacas can be kept to the acre. They are fairly easy to look after, needing their toe nails & injections like sheep for clostridia, we tend to do theses when they are being sheared & again later in the year. Alpacas are a herd animal so cannot be kept on their own, 2 or maybe 3 is a minimum but they are also very addictive so people often start off with a couple & then add to them, as we did starting with 4. The males are kept separate to the females & we pen mate which means we place the female in the pen & then bring the stud to her to be mated, that way we know the exact mating date & can work out the due date of the cria (baby alpaca). Alpacas sit down to mate, the male orgles which is a little like singing & the mating can last as long as 40 minutes. 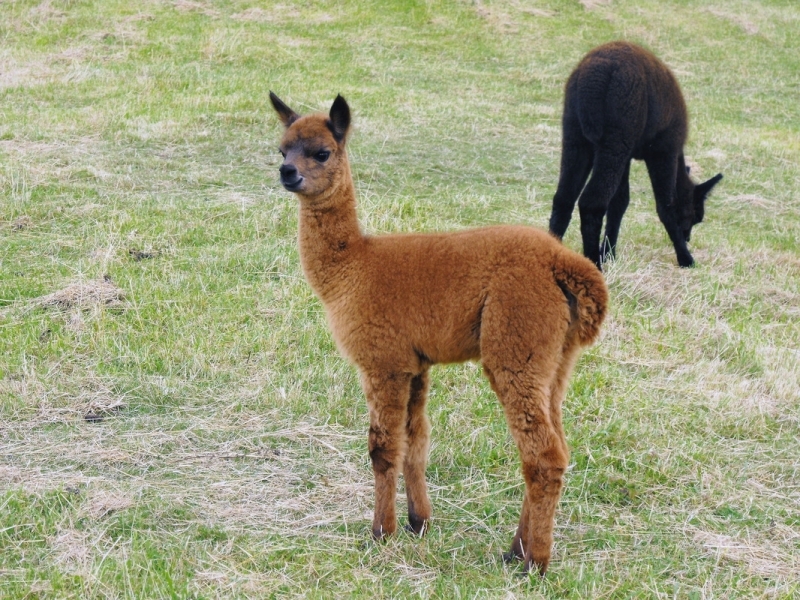 The majority of cria are born April to September but they can be born at any time of the year. 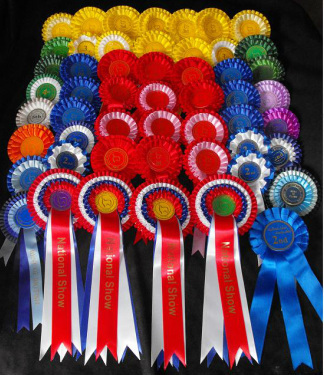 We like ours to be born May to July as the April weather can be cold and unpredictable, as it has been this year, and cria benefit from as much sunshine as possible. The birth of a cria is very special, gestation is 11 – 11 1/2 months and they normally give birth between 8am and 3pm, but like people everyone is different and we have a couple of mums who like to have theirs just before 7am. 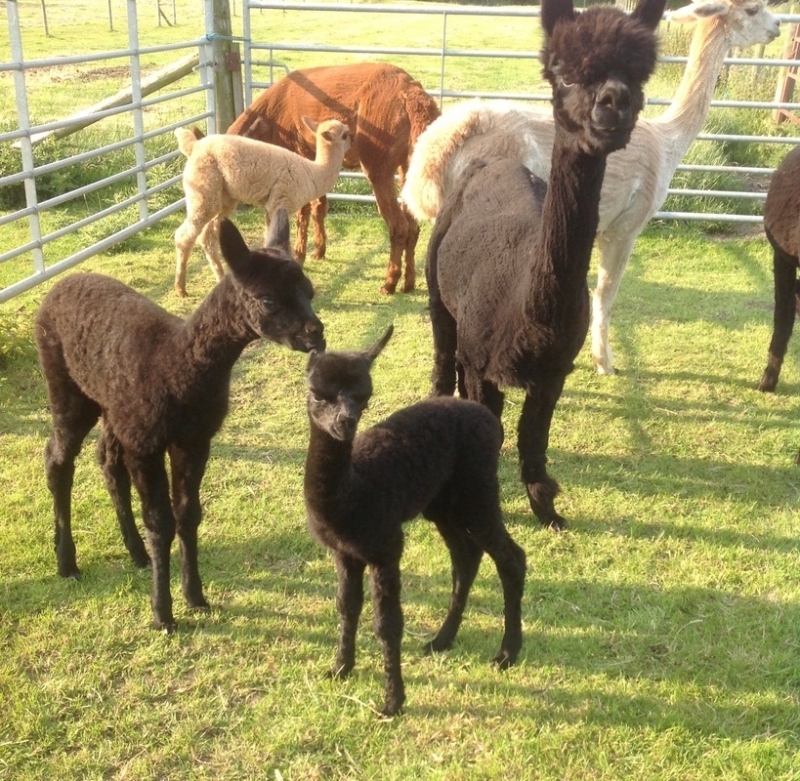 All our alpacas are BAS registered, they have a birth certificate, are micro chipped and named, we tend to go with a theme to remember their names like birds, brands and the Emmerdale girls. Alpacas are sheared once a year, May to July, producing one of the most luxurious fleeces which produces quality gorgeous clothing from scarves to suits.